Need Advice? Talk To Someone Who's Done It Before. 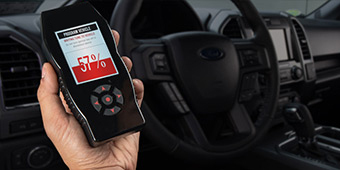 Our award winning support team of F-150 enthusiasts are here to help you at every turn. 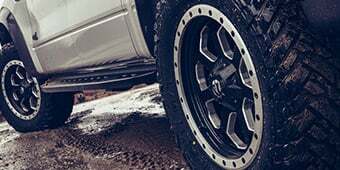 We install our parts to ensure fit, finish, and quality so that whether you’re at a job site or just out to look good, go fast and have fun, you’re guaranteed to be getting the most out of your truck. Whether it’s one of our own trucks or one of our project cars, building trucks that can get the job done is in our DNA. 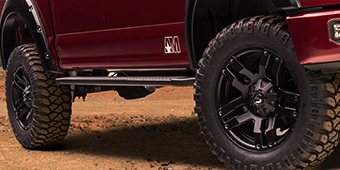 The best-selling pickup in the USA meets the cutting edge of 21st century automotive engineering with the Ford F-150’s 13th generation, using top grade, weight-saving aluminum construction over a 77% high-strength steel frame. 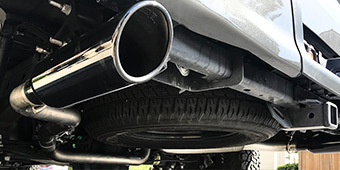 The use of aluminum makes the body panels rust-proof, while slashing ~500 lbs off the weight and helping with the 2015-2019 F-150’s 20% better fuel efficiency. Early generation trucks feature four engine choices – the 3.5L Cyclone V6, 2.7L EcoBoost V6, 5.0L Coyote V8, and 3.5L EcoBoost V8 – but the 2018 F-150 changes that lineup for boosted power and efficiency. Using advanced twin-injection systems plus retuning, the 2018 pickup’s engines generate more power, with even the 3.3L Cyclone V6 that’s replacing the 3.5L V6 cranking out +8 horsepower and +12 ft-lbs of torque. 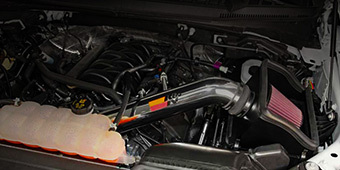 Options widen with a 3.0L PowerStroke Turbo-diesel V6 as the new, fifth engine choice, developing 254 hp and 440 ft-lbs. All engine choices except the 3.3L V6 now come standard with 10-speed automatic transmissions. 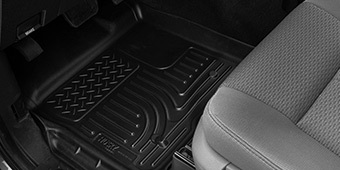 More sophisticated electronics include a pedestrian detection and automatic braking system, plus adaptive cruise control that relieves you of the headache of stop-and-go driving in heavy traffic. 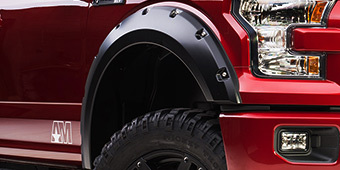 There are still plenty of possibilities for modding your 2015-2019 Ford F-150, too, which American Trucks lets you explore with our quality selection of cat-back exhaust systems for better flow and a more aggressive sound, head-turning aftermarket wheels with handsome combinations of spoke sculpting and color, brilliant LED off-road lighting, hitches and accessories to turn your machine into a real workhorse, and more. With a rugged steel frame clad in a military-grade aluminum alloy body, the 2015-2019 Ford F-150 is an exciting new take on Ford's winning formula for a rough-and-tough pickup workhorse. The aluminum cab and bed cut weight drastically without sacrificing strength, and will never rust, either. The 70K-psi frame uses three times as much high-strength steel as 2014's model at 78%. 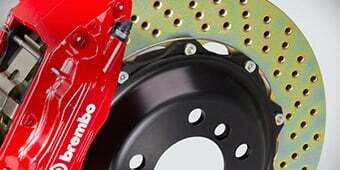 All this adds up to 700 lbs of weight savings, cutting your fuel use and putting extra power at your command. Keyless ignition, LED bed lighting, and 360 degree cameras give your truck a futuristic edge, too. Four engine choices include two Ecoboost options – 2.7L and 3.5L – along with a 3.5L V6 and a 5.0L V8. The excellent power-to-weight ratio makes the 2015-2019 F-150 work harder for you while saving up to 20% fuel compared to any model that went before. 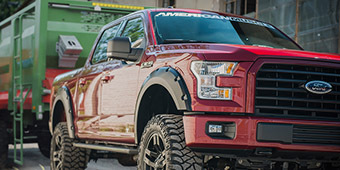 Here at AmericanTrucks, you can find the top quality aftermarket parts you need to tailor the advanced, extra-rugged 2015-2019 F-150 to work even better for you. 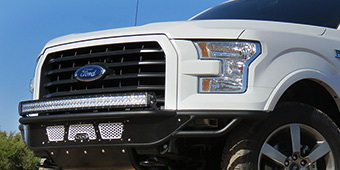 Extra lighting for working at night or off-roading, grille guards so your truck can muscle its way through brush and look tough on the road, too, upgraded exhaust systems to kick the power levels higher while giving your F-150 a fierce sound, and many other features can be added to meet your needs and tastes. 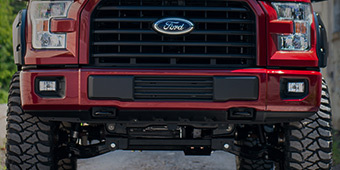 Kit out your F-150 with carefully chosen add-on components to make a great new pickup even better.